Following last week’s split vote to deny a controversial Leesburg rezoning, members of the Town Council are looking forward. A vote to approve the Crescent Parke rezoning failed on a 3-4 vote, with Mayor David Butler and council members Katie Hammler and Suzanne Fox voting in support. 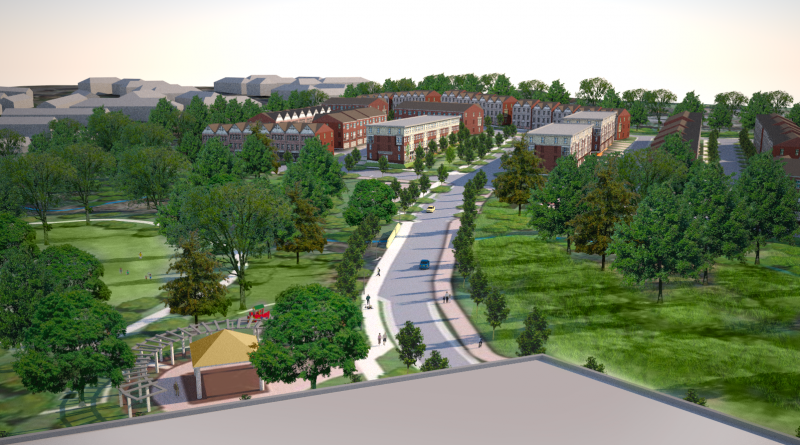 The application sought to rezone 53 acres of vacant commercial land to permit a mixed-use development that would include 198 townhouses, 96 stacked townhouses and 96 multifamily dwelling units. Nonresidential uses would have included a maximum of 110,550 square feet of office space, 137,000 square feet of retail, an area for a future hotel, and a 2,000-square-foot community room. 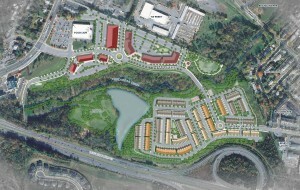 The land stretches from the terminus of Gateway Drive to Davis Drive along the edge of the Leesburg Bypass. Those who opposed the rezoning pointed to the potentially negative impacts of the community on nearby neighborhoods; the insufficiency of proffers put forward by the developer; and the proposed construction phasing, which would have allowed hundreds of homes to be built before 5,000 square feet of commercial space was constructed. But those who supported the rezoning said Leesburg may miss an important opportunity to gain valuable proffers, including millions of dollars in capital facility costs, road improvements, and even the purchase of Olde Izaak Walton Park for the town. “I think it is an opportunity lost,” Butler said this week. The mayor said he is concerned about what by-right development on the land, currently zoned for commercial development, could spell for surrounding neighborhoods. He also said he is concerned about what the future could hold for Olde Izaak Walton Park. The town is 17 years into a 30-year lease for the park space and the rezoning included options for the developer to purchase the park and donate it to the town. Vice Mayor Kelly Burk was one of four to vote against the rezoning, along with council members Bruce Gemmill, Tom Dunn and Marty Martinez. She had previously raised the subject of the park lease during spring budget deliberations, but stated this week she has no desire to do away with leasing the park. Burk also said it was incorrect to assume that the council would not have a say in the future development of the land eyed for rezoning, even if it was developed by right. Representatives of the developer, Lansdowne Community Development, would not comment on whether they would see reconsideration vote next week—the final council meeting before its regular summer recess—or appeal the denial to Circuit Court, an action that must be taken within 30 days of the vote. I didn’t enjoy the design at all. The clear separation of the commercial and residential spaces, with the residential being extremely close to the (noisy) bypass? I would have preferred a more Main Street level design with businesses lining the main (walkable) thoroughfare and the homes surrounding it in grid style streets.